The Holiday House Palm Springs was originally built in 1951 ​and was a project of​ mid-century architectural designer Herbert W. Burns. 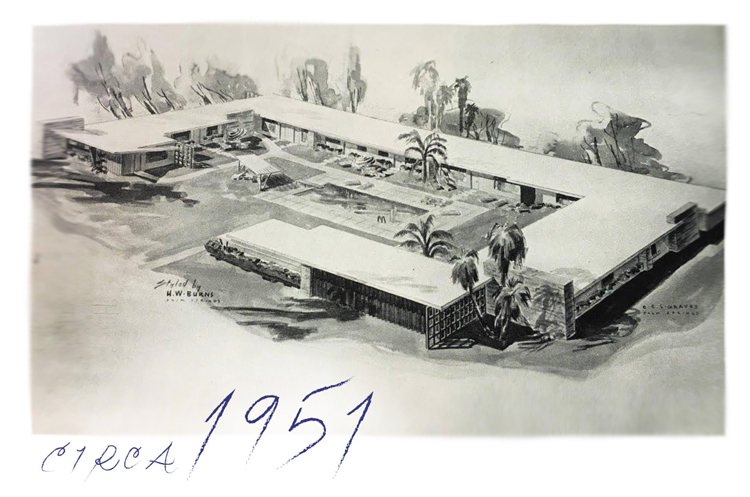 Burns was one of the most important figures in helping to define Palm Springs modernist style, or what has now become mid-century modern. Known for a less austere approach to modernism than Frey or Lautner, Burns’ strong composition and clear lines stressed livability and humility. with its original name and spirit.